BTW, I have tried your kalakand and doi maach and both are keepers! Thanks for all your lovely recipes. PS eagerly awaiting this recipe. Sandeepa, Happy "Mahar Sankranti" to you, the sweet looks delicious. Will wait for the recipe. When else can you gorge on sweets? Looking forward to the update! :) Looks so good. Good to know that the same harvest festival has so many diff. names! !I like Lohri the best! :)Dessert looks so good!:))Enjoy!! Sandeepa Poush parbon looks awesome...we in kerala also make something like this with wheat flour or rice flour or maida too and coconut and jaggery filling. Will be posting it soon.The pic is mouth watering. Happy Sankranthi to you, Sandeepa! Both the pithe and the kamlalebur payesh look yummy! Nice pix and informative write-ups as usual. this is so -so tasty ..i love it ) ami o banabo..just made makke ki roti and sarson ka saag yesterday for lohri ..
Have a great time celebrating. I am looking forward to the recipe. Your recipe collection is so unique, want to try them all. Sandeepa, I am so very glad you started a blog. I was not aware of so many delicious bong recipes and wonderful traditions. 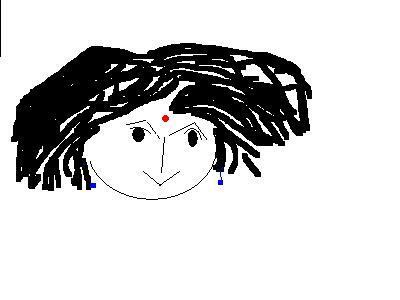 Pati Shapta looks great. looking forward to the recipe! Hi Sandeepa,best wishes for poush parbon..very good recipe.Have to try it soon as I have never had it before but always heard rave reviews about this one. Nice looking dish Sandeepa, Its very new for me, but the description sounds yummy to me. Thanks.. I think that is so true of all cultures. Like I am glad that I visit all yours blog too, as it gives me wider insight into your culture & food habits etc. Hi Sandeepa, as my mother is Punjabi I missed out on seeing her make all the lovely bangali mishtis and contented myself with eating 1kg of narkel naru at a time instead. I love pati shapta and am eagerly awaiting the recipe. This is so new to me! Will wait for the recipe Sandeepa. Picture looks fabulous. Nice narration about winter harvest festival. I was lured here by the curious title and after reading the description, this seems to be similar to the south indian dish poli...are you familiar with that? 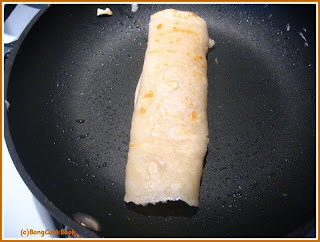 Poli is made from maida, as thin crepes, and stuffed either with jaggery or coconut. I think it is a Karnataka dish. Wow! That looks so interesting, Sandeepa! I'm looking forward to the recipe! Happy Makar(or is it mahar) Sankranti to u! It was so nice to read ur nostalgic post on it. Really , half the fun in these festivals are the traditions associated with it. I do hopw u tied hay on ur door knobs in New Jersey!No harvest here but at least we are in garden state! Hey Sandeepa,I had already posted a commented..i don't know what happened to it.Nice write up about the festival.Pati sahpta looks delicious and will try soon. Sandeepa, nice post as always and pati shapta looks devine dear. So beautiful, moist and nice. came back here to see the recipe...and I see you tried the maida + sooji combo. I think thats what is in poli too..yes, they're lovely and flaky and soft..yum! The pictures and your description has left me craving for some right now! Sandeepa, thanks for sharing your family stories, I enjoy reading it so much. 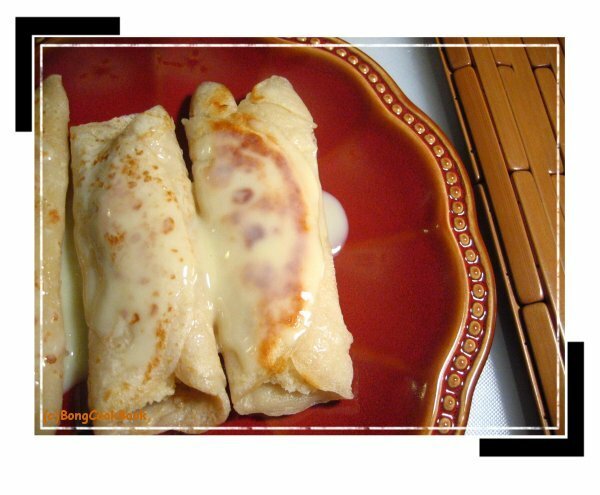 In my home country we also made something very similar to your stuffed crepes, very delicious indeed! Sandeepa....to do for my weekend thanks....smacking my lips already. Look forward to this delicious looking Pati Shapta, Sandeepa. 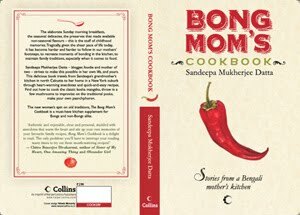 You have an awesome blog of Bengali recipes. Tomar/Apnar Pati Shapta darun !! Tobey pati shapta aarektu shada holey beshi bhalo lagena ?? Well done !! This is my favourite sweet that I can eat any time of the day/year !! A Seriously devouring dish of Bengalees !! Keep the Good work !! Anek din por tomar comment ta dekte pelam sorry. Ami pore abar baniyechi patla korar janya ar seta last e update korechi. ami bangladeshi,deshi style recipe khujchilam, apnar site khub valo legeche. ami already tak dal try korechi. It was sooo tasty, thanks. Apnar writing style darun. amar ma originally from Basirhat, Kolkata. tai apnar rannar style er sathe khub mele. thanks again. I have to tell u that i am addicted to your Blog! I am a Punjabi married to a Bengali and living in the US. Needless to say, my training in bong cooking is zilch. I do fortunately know the way most of the delicacies taste (thanks to my mom-in-law who used to take immense pleasure in feeding me when i was in Delhi). You recipes are the closest i can get to that taste. Thanks to you, i can surprise my hubby with Bengali food in this alien land! Wonderful recipe..I was just looking for pati shapta recipe to surprise my Mom showing off my capabilities...Thanks for it! Pati Shapta is damn yummy and my husband introduced this dish to me in a pooja pandal last year. 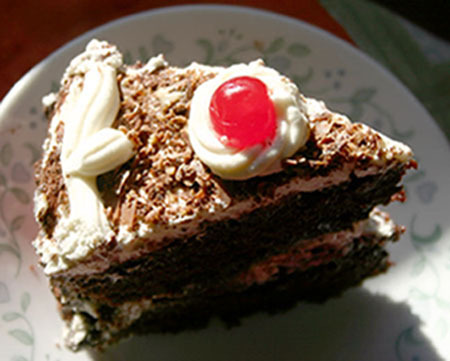 I jumped with joy when I found this recipe in your blog. This is on my 'to do list' will def.give u the feed back of my preparation. God Bless. I wanted to know this URGENTLY- i have previously made pathishapta with suji and maida only , would that be fine. I have made it more than 2 years back so was just wondering the ratio of then 2 that i should use. Just mess. again so that i can know whn u replied! I have been using your site for sometime as I love cooking just wanted to say thanx for all these lovely dishes. My husband loves sweets and it was good to see a site having all the recipes!! Once again thanx and keep up the good work! Самая стабильная [url=http://popplers.ru/]партнерка[/url] [b]Popplers.ru[/b] предлагает Вам сотрудничество на выгодных условиях. Мы покупаем ваш ру трафик по выгодным ценам. Владельцам сайтов, вебмагазинов и веб мастерам мы предоставляем выгодные условия, отзывчивую поддержку и проффесиональный подход в нелегком бизнесе рунета. отличная возможность быстро заработать, выгодная рефферальная программа, направьте ваш ру трафик в нужное русло, в русло прибыли которое принесет вам [url=http://popplers.ru/]Адалт партнерка[/url] [b]Popplers.ru[/b] . Вывод средств в WebMoney или PayPal, возможность срочных выплат в любой день недели, персональный подход к каждому партнеру. great recipe s! 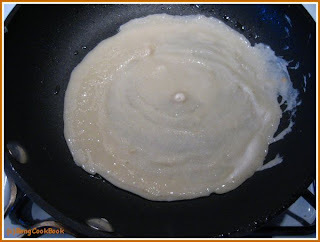 I am new in cooking and already learnt how to make patishapta and bhapa pitha last christmas. 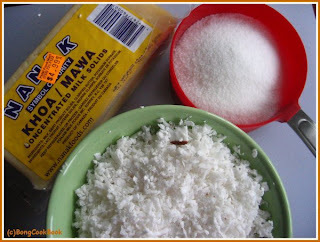 But do you know how to make our bengali " sweet doi" at home. I tried but its doesnt come out that thick as it is back home. It is a well-known fact that us Bengalis are crazy for our mishti or sweets. bet basketball Not only we love to eat sweets but we love to make sweets too and one such kind of festival when we crave for homemade sweets is called Poush sankranti. Poush sportsbook sankranti or Poush parbon is observed on the auspicious day of Makara sankranti or the last day of Bengali month Poush. Not only in Bengal but in all over India this day is regarded as a very special day and various traditions are followed. march madness Like in south India they celebrate Pongal, in Punjab it is celebrated as Lohri, in Bengal people gather at the holy place of Gangasagar where the river Ganges meets the Bay of Bengal to take dip in the morning. It is believed that by doing so one can get rid of all sins. hi....i always look up ur recipes whenever i am stuck with ideas. i simply love ur ideas...recipes...notes.....they make me nostalgic. all of us have stories and memories but the way u put it..it is amazing. sankranti is gone but i am still to make my pithe...ur pati shapta looks absolutely yummy....dont have khoya..will check where i will get some. but i will try it anyway..crepes banate ektu practise lagbe hoitoh. janabo result. I have been wanting to eat Pati shapta for a long time and was thrilled to find your recipe, but I dont have access to khoya. Do u know what I can use instead. i tried it on bhai-phonta. it was a big hit... thank you very much. I made a little change in the recipe though. i added some sugar also. approximately 1/4th cup. that change was good. 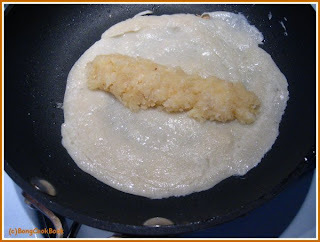 I visit your blog often...but I have never left a comment.Love your blog....love your recipes.I was thinking of trying your patishapta recipe....but the 30 mins needed to make the pur is holding me back:)The excuse I like to give for that is I have a 2yr and a 5yr old. :)Is there a shorter way? Okay...lets see. 1. 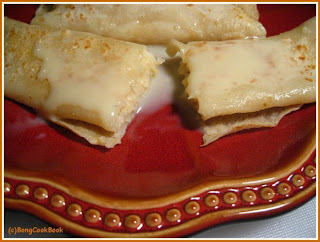 Do not make stuffing :) Just make the crepes. Smear the inside with nutella and drizzle with maple syrup or liquid khejur gur. 2. Instead of coconut stuffing get some peda from the stores. MW with a little milk to soften. It should turn into a soft doughy texture. use that for stuffing. Thanks for your suggestions...I will definitely do nutella for my 5 yr old:)And i will try no 3 for us.Your Kalakand recipe looks yummy ( and easy) too!Can't wait to try.Thanks again. hello s, they came out yummy as usual(i had also tried your malpua recipe which was very very good). thanks so much for sharing your recipes. finally i have a place to go to for bengali home made mishtis that are not typically available anywhere else. btw when my ma made patishaptas at home she never put the condensed milk on top after and i did not either and they taste equally good. I only add some sugar to the crepe mix and a little more sugar to the pur. ANyway, thanks once again....sriradha. Hi Sandeepa,I just posted my Pati-shapta for ICC now.Thank you so much for the lovely recipe..You are rocking ! i tried this recipe..it came out absolutely yummy. Everybody loved it in my family. thanks so much for the wonderful recipe. 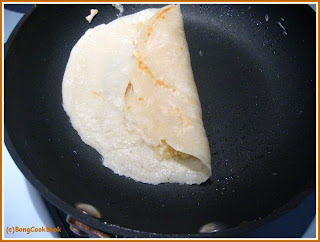 Just wanted to let you know that i used your base patishapta recipe for making pithe this sankranthi and the last one...they come out great. Since i didnt have pathali gur, i experimented with molasses...the color and flavor comes out real nice. Hi, I am a south indian, who recently tasted patisaptha on makarshankaranti day given to me by one of my bengali neighbor. I just loved it and wanted to try.Saw your recipe. I have a doubt. Is it possible to avoid maida? Could you let me know the adjustments for the crepe accordingly? Hi,I recently tasted patishapta given to me by my bengali neighbor on makarshnkaranti. I loved it. Was searching for the recipe and found your blog. I want to know one thing, is it possible to avoid maida in making the crepe? Could you let me know? Thanks for replying! Got your book :) Its awesome, way to go!! !